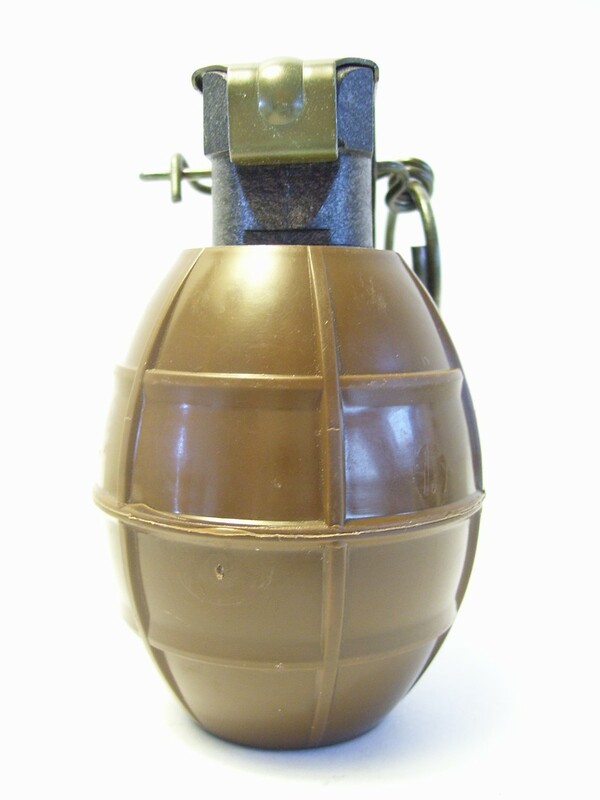 The purpose of the offensive handgrenade PRB 446 is to produce a powerfull blast effect without fragments. It has been developed with elements from the controlled fragmentation grenade PRB 423. It's outside shape is identical, the only difference being the color (brown) and the weight (165g instead of 230g). 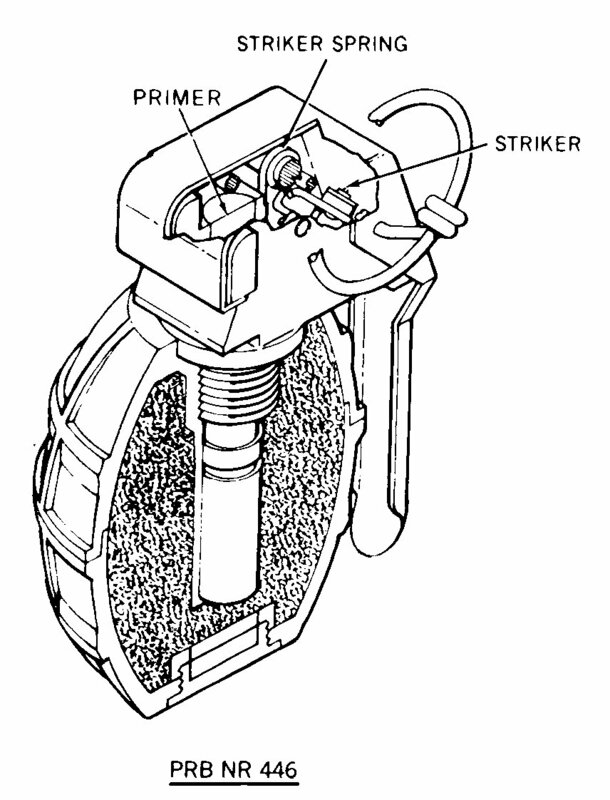 All the components that can produce dangerous fragments, particularly the fragmentation sleeve and the balls have been removed. 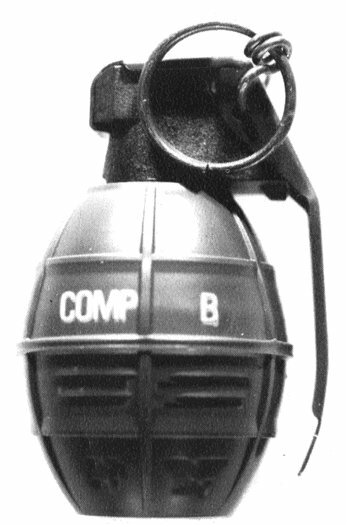 The same explosive (COMP B) has been used, but in larger quantity (85g instead of 60g) in order to increase the blast. 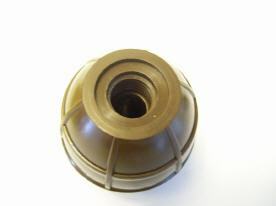 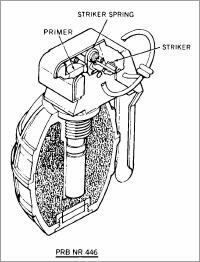 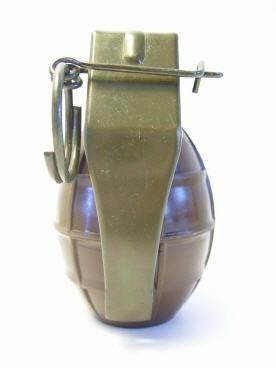 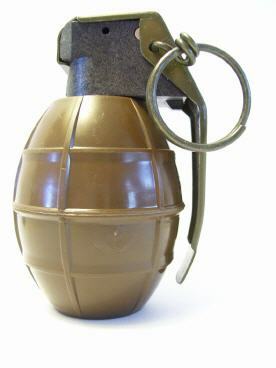 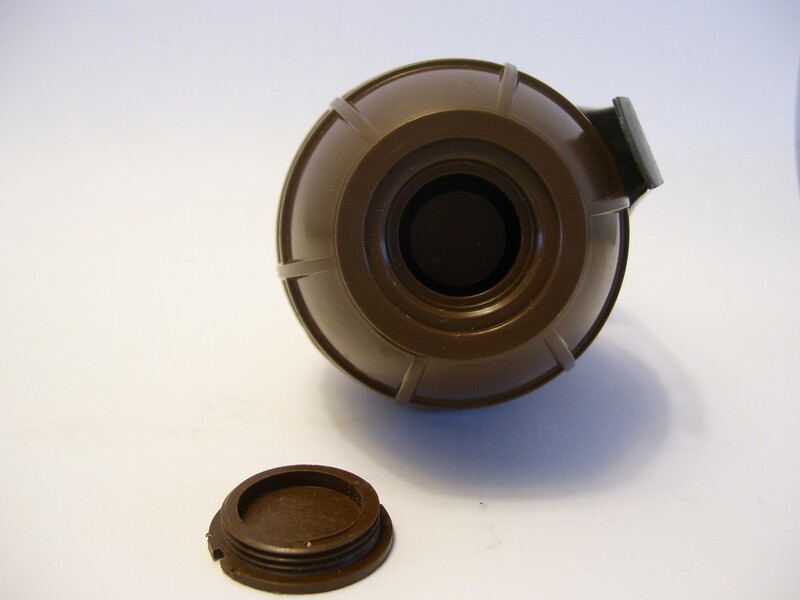 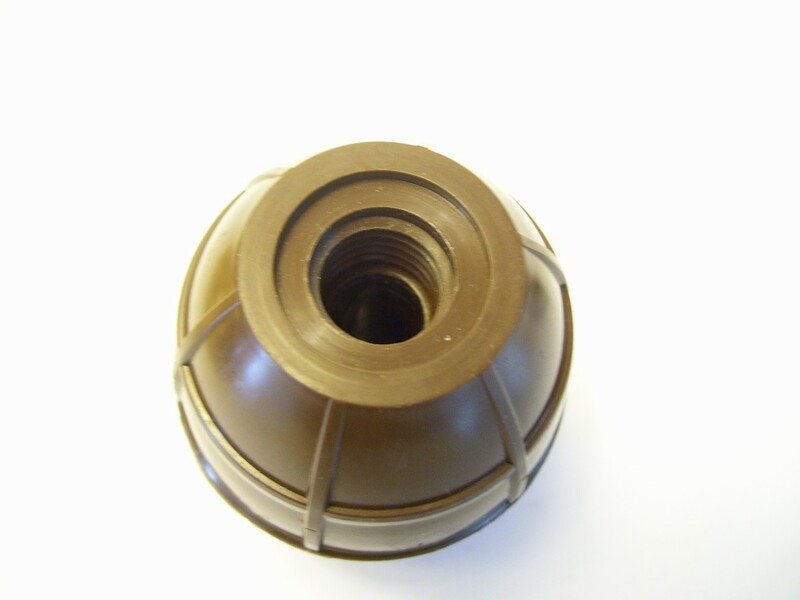 This grenade also uses the PRB 432 time fuze (Belgian nomination Gr.F. 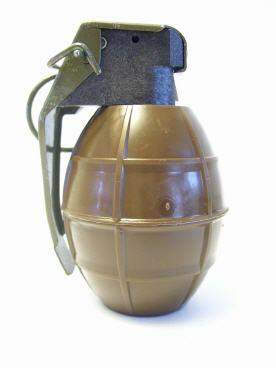 M72A1 HE) with 4 seconds of gasless delay which is also used with the PRB 423 controlled fragmentation grenade.